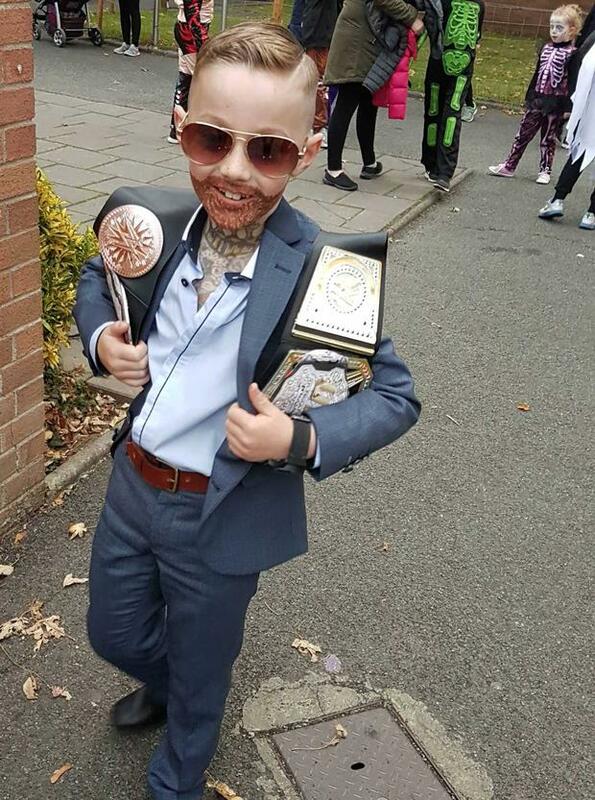 Mason O’Connor was the envy of his classmates when he rocked up to school dressed as his favourite MMA superstar the ‘Notorious’ Conor McGregor. Mason (7) from Kiltipper in Tallaght had the look down to a tee with his costume compete with belts, a beard and the Crumlin natives trademark chest tattoo. The mini-McGregor was greeted with cheers as he strutted through the school gates like he owned the place, raising his arms in triumph while his entrance music blared out of his chauffeur's car. “The guard from Tallaght garda station loved it so much he got him to pretend to punch him,” Mason’s Mam Vickie told Independent.ie. “Our Mason his only dying to meet the man himself," she added. Who knows with Christmas around the corner he just might get his wish.